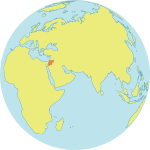 UNITED NATIONS, New York/AMMAN, Jordan – The United Nations Security Council today adopted a resolution calling on countries to engage young people in building peace and countering violent extremism. “Youth account for many of those adversely affected by armed conflict,” states the resolution, adding, "Disruption of youth’s access to education and economic opportunities has a dramatic impact on durable peace and reconciliation." Young people are often vulnerable, with poor access to information and opportunities. “Their marginalization is detrimental to building sustainable peace in all societies,” the resolution notes, urging countries to meet their needs and to include them in decision-making and peace-building efforts. "This resolution recognizes that it is imperative for us to invest in young people to fulfill their potential and help achieve peace and security," said Dr. Babatunde Osotimehin, the Executive Director of UNFPA, which has been advocating for the resolution for several years. Young people are already demonstrating the leadership needed to promote peace and conflict-resolution. In Jordan, four young Syrian refugees living in the Zaatari camp, along with two Jordanian youth, recently conducted Y-Peer trainings for 50 Palestinian young people living in the Zarqa and Wihdat refugee camps. Y-Peer, a youth peer education network supported by UNFPA, encourages young people to play a leading roles in their communities and to share critical information and promote opportunities for vulnerable youth. The trainings included lessons on cultural tolerance and promoting dialogue, as well as the need to reduce violence and realize human rights. Many of the young people involved have had first-hand experience with these issues. Basil Nuseerat, another Y-Peer trainer from Syria, echoed these sentiments. “When I went outside [Zaatari Camp] and started to train, I did not feel like a refugee but rather like a YPEER member,” he said. 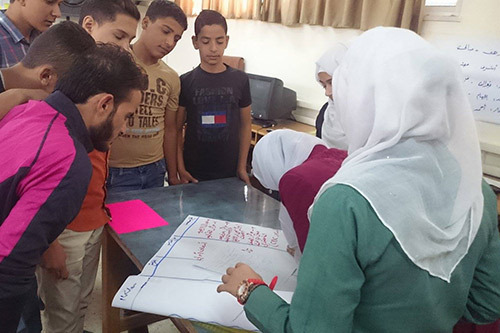 The trainings also addressed the unique needs of young people in the Zarqa and Wehdat camps, such as lack of access to sexual and reproductive health information, and also encouraged the youth to plan and implement their own initiatives and programmes. 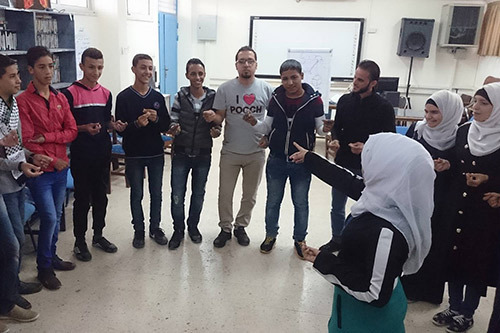 By the end of the training, the 50 Palestinian youth in Zarqa and Wihdat had become youth educators, ready to use their new skills to engage and empower their peers. The resolution adopted today, sponsored by the Government of Jordan, is a major step forward in helping young people advance peace. UNFPA is a member of the UN interagency working group on young people’s participation in peacebuilding – a driving force behind the passage of the resolution. UNFPA also carried out a key study on the role of young people in peace, and supported Jordan in convening the recent Global Forum on Youth Peace and Security, among other efforts. "Let us transform the words in this historic Security Council resolution into concrete actions on the ground," Dr. Osotimehin said today. Young people like Ala’a are showing the way. “I am trying to share all of the knowledge and experiences that I have,” he told UNFPA.